Adventure #1: Waiting for the UPS driver | Stamp Right Up! I got the box and ripped it open, it was like Christmas!! I immediately started tinkering with what I had gotten. It was her tip on how to..ahem… “separate” (cut) :O clear mount stamps so that you can use single images. 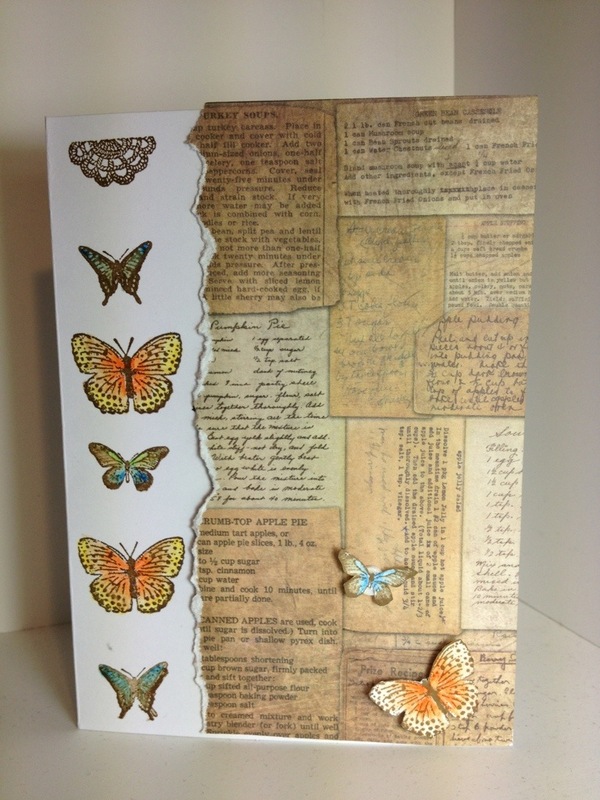 That is how I was able to stamp the butterflies vertically.